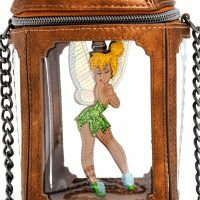 This adorable Danielle Nicole Tinker Bell Lantern Crossbody Bag is the perfect gift for Disney fans that favor the fierce and feisty Tinker Bell. 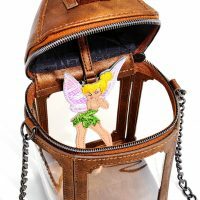 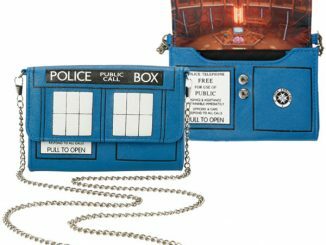 It’s a crossbody handbag that looks like the lantern Captain Hook captured Tinker Bell inside, with Tink featuring glittery hair, outfit, and wings. 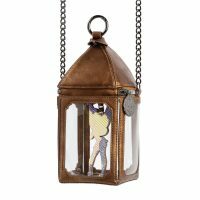 This bronze colored handbag features clear panels that reveal the hanging Tinker Bell charm. 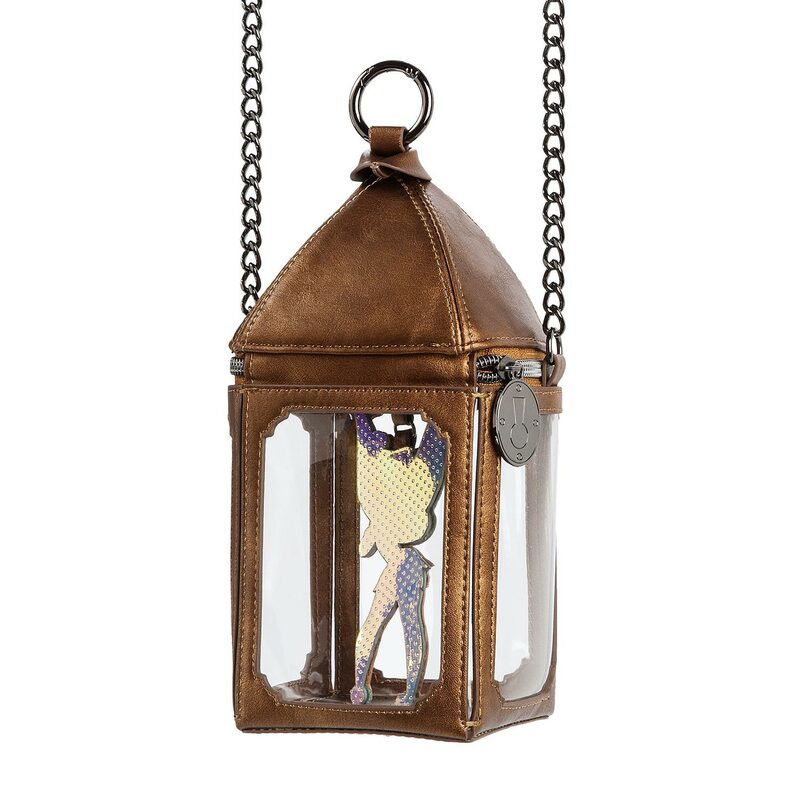 This charm is actually a removable Tinker Bell key fob that can be left dangling inside or removed for use. 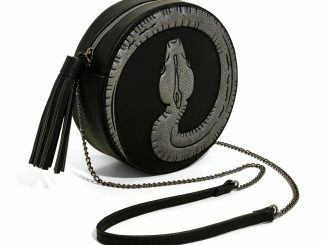 The bag also has a metal chain strap, printed lining, and zippered closure. 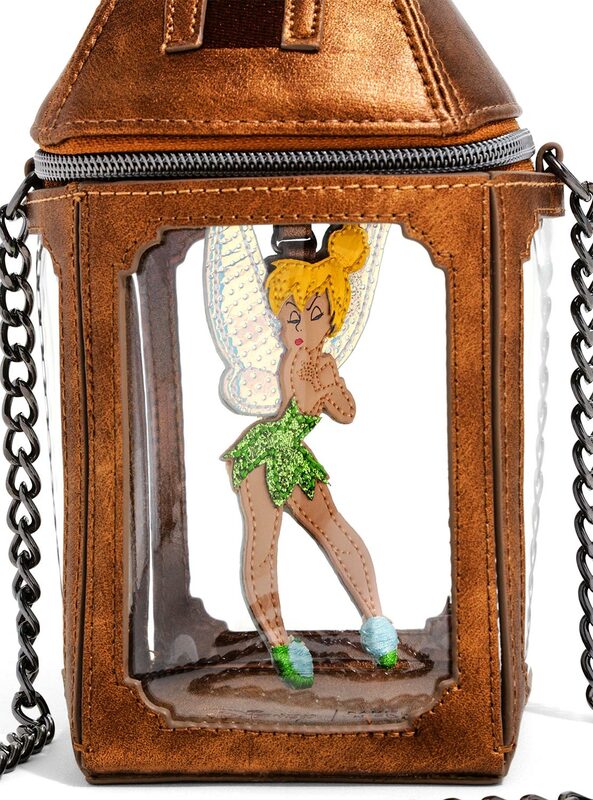 Be feisty and fierce just like Tinker Bell! 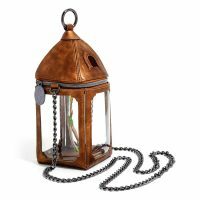 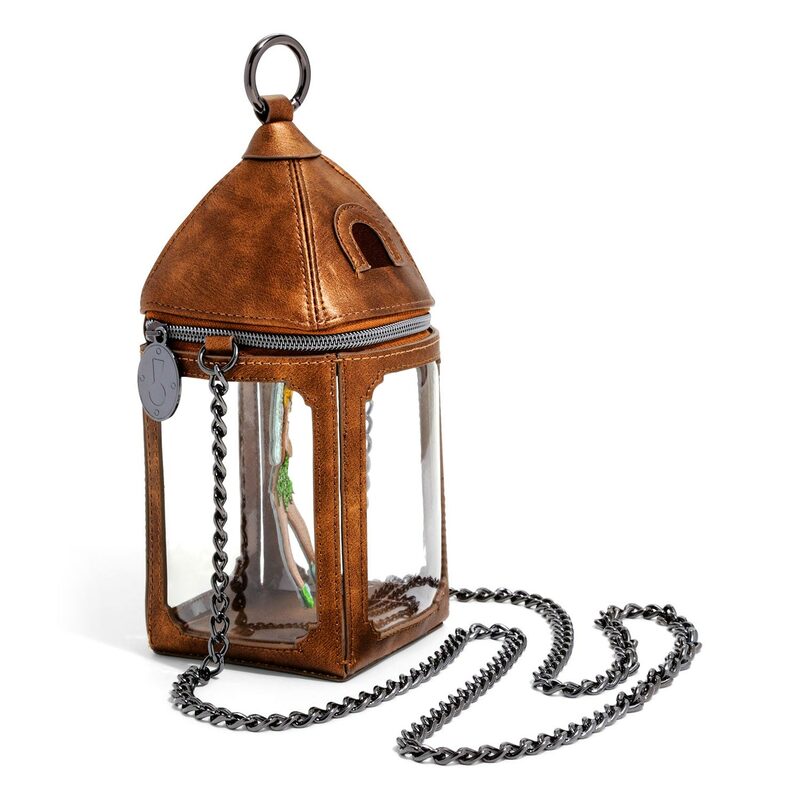 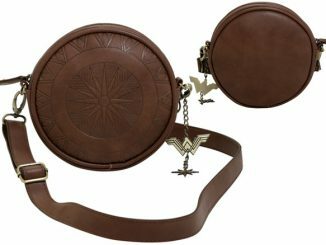 This bronze colored crossbody has a lantern design with clear panels that reveal a Tinker Bell charm hanging from the top of the lantern. 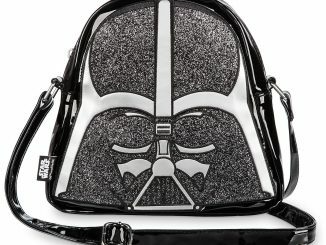 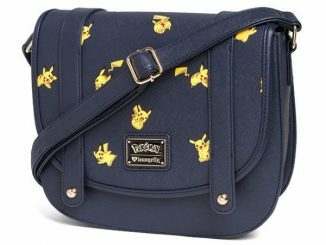 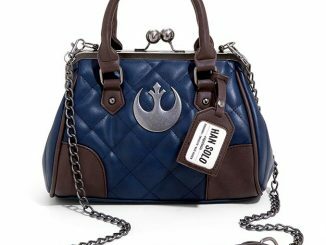 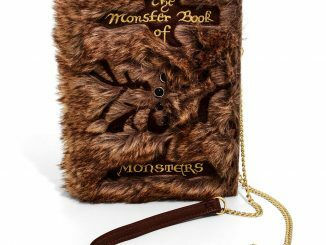 It’s got a metal chain strap, zippered closure, and printed lining. 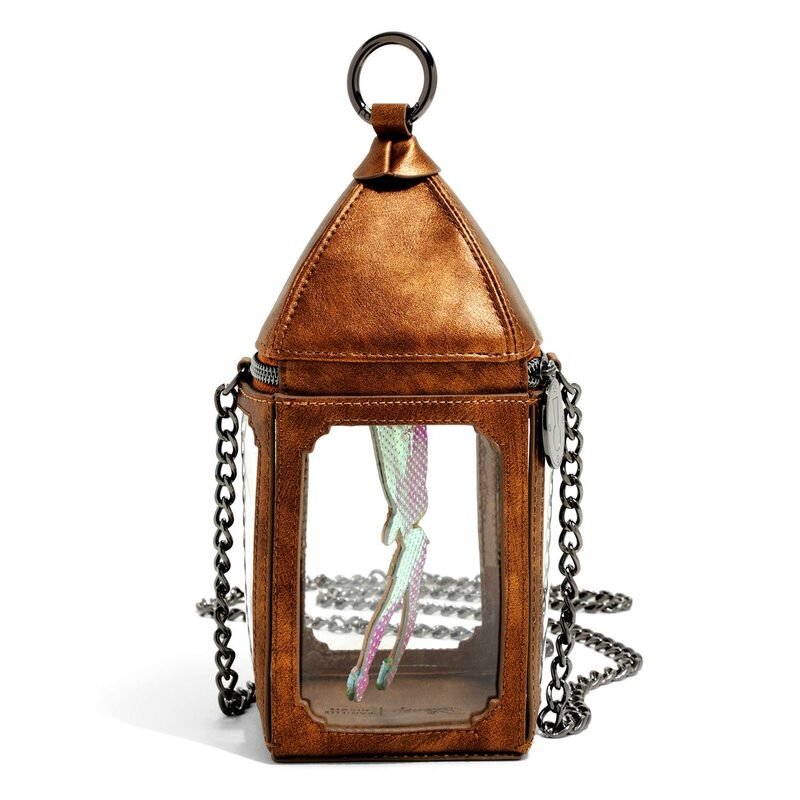 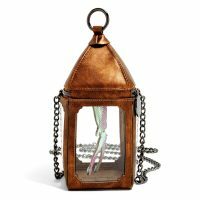 You can crow like Captain Hook by capturing our petulant pixie Tinker Bell in a lantern-shaped crossbody bag with chunky link chain. 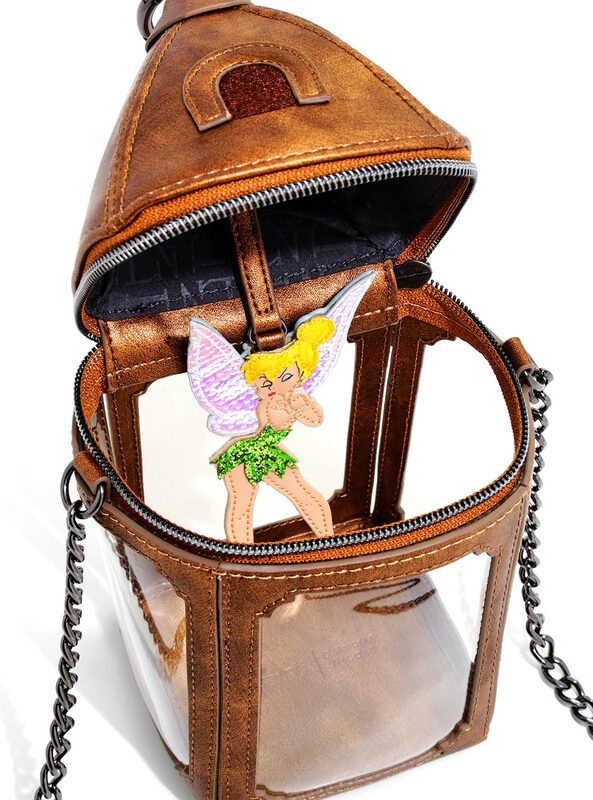 An embroidered Tink key fob can be dangled inside or removed for use. 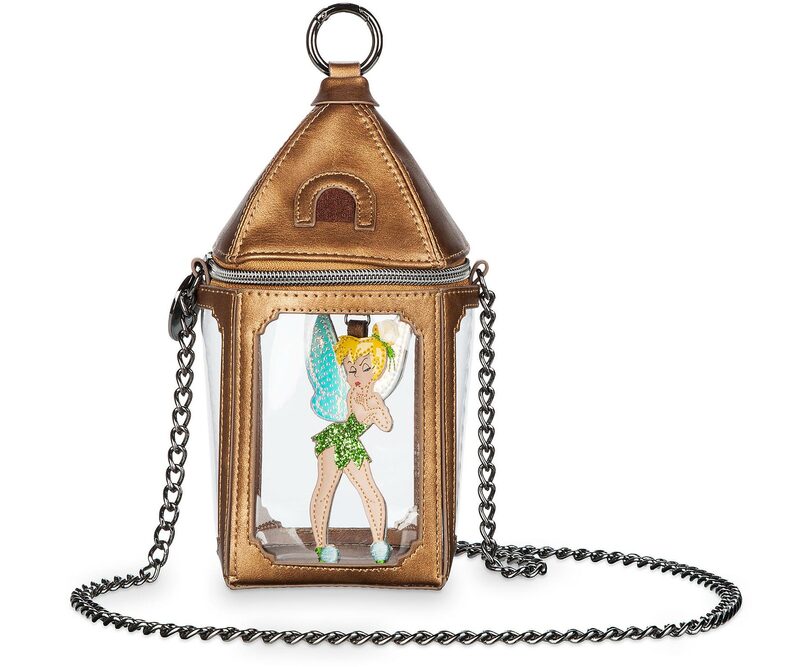 Buy this Tinker Bell in Lantern Crossbody Bag for $67.95 at Shop Disney, where it is already sold out. 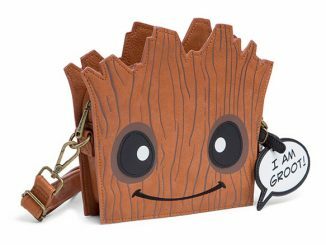 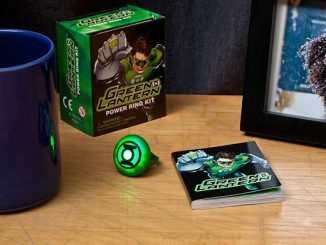 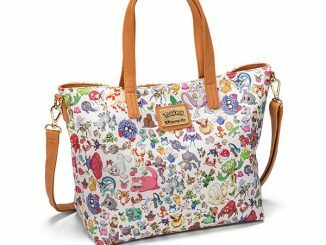 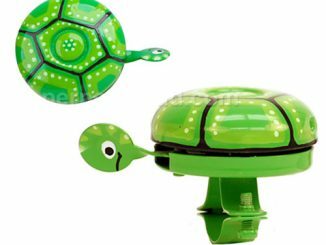 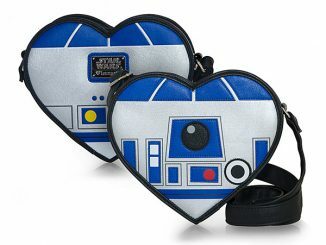 Fortunately, it is also available at BoxLunch, where it is currently in stock and also on sale for $55.12 (20% off).